Their relationship had lasted 4 years before today in 1848. Julia Dent’s father warned her not to get involved with the man. He was a poor soldier that would never be able to provide for in the manner she had become accustomed to in the luxury of the White Haven plantation. Her father, Colonel Frederick Dent, a slave owner and merchant in eastern Missouri, didn’t believe Ulysses Grant could provide for his beloved daughter the way that he felt she should be pampered. Outwardly, Colonel Dent admired the young man because he had been a West Point classmate of Julia’s brother. When the colonel found out that Grant had graduated in the lower 3rd of his class, his hopes for her daughter with the young man from Ohio faded. Julia told her father the first time Grant proposed to her. He tried to dissuade his daughter that she could find someone better. The colonel told her he would probably never amount to anything and as a soldier he would be gone from home for long stretches at a time. Grant proposed again, and again she deflected his proposal in such a way that it didn’t dampen his affection for the 16 year old girl who had captured his heart. 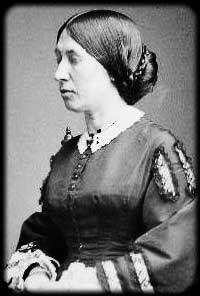 Grant had written his father Jesse back in Ohio and told him about Julia and how beautiful and kind she was. He didn’t mention the colonel or the fact that he was a slave owner. That came in another letter when Jesse asked about her family. Jesse joined the colonel in being against the marriage, just for different reasons. Finally, in 1844 Grant once again proposed to Julia while they were sitting on the front steps at White Haven. Julia agreed and when Grant spoke to her father, his father had a change of heart if not about Grant, but about his hope for his daughter’s happiness. 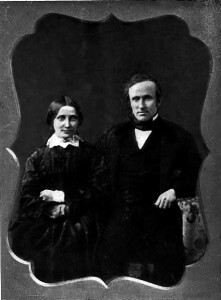 Not long after their engagement was announced, Grant was sent south. 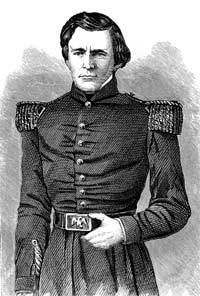 A war with Mexico seemed imminent and on April 25, 1846 war did erupt and Grant found himself in combat for the first time, but it didn’t last long. 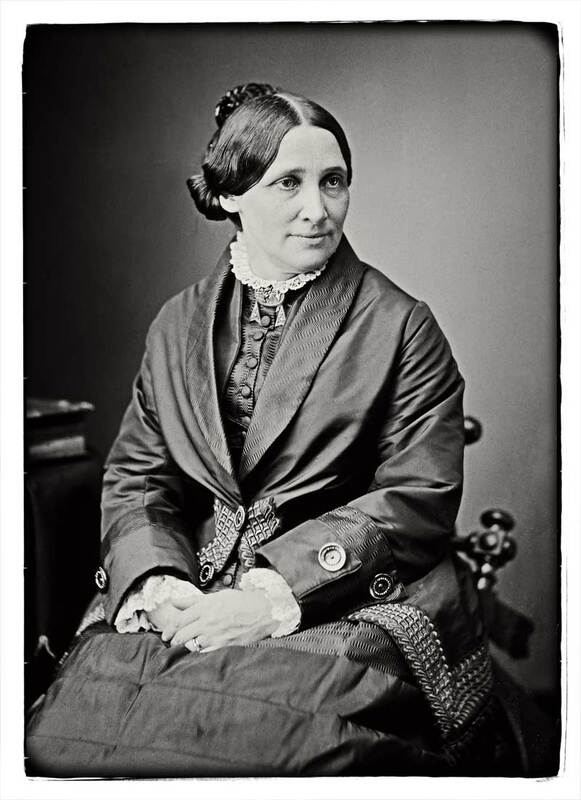 In February 2, 1848, the war was over and Grant eventually made his way back to St. Louis and his Julia. 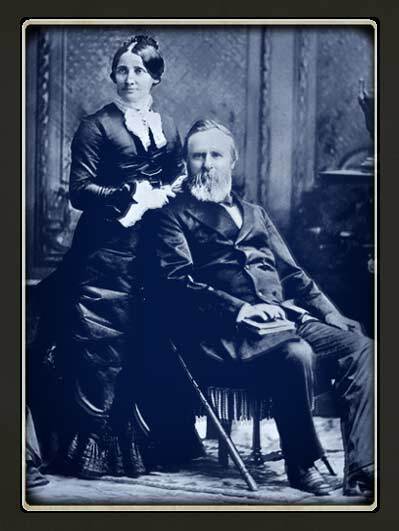 On this day in August of 1848, Ulysses S. Grant and Julia Dent were married. It was a good day for both Ulysses and Julia. The rest of their lives together would not be as happy as this one day. On this day Ransom Eli Olds formed the Olds Motor Works. The year was 1897. Eli had just turned 33 a few months ago. 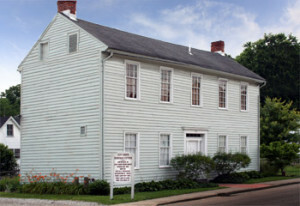 Although he was then living in Lansing, Michigan, when he was born his family was living in Geneva, Ohio. There his father was experimenting with steam engines. Five years later the Olds family moved and eventually found their way to Michigan. There young Ransom learned his father’s business and joined him in fabricating more efficient, smaller and more powerful steam engines. 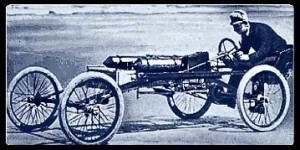 Ransom came up with the idea of incorporating a steam engine with a carriage, thus building one of the very first horseless carriages. A few years later Samuel Smith bought Ransom’s company and changed the name to Oldsmobile. In 1904, unhappy with the direction the company was taking, Ransom left the company and formed the REO Motor Car Company. Four years after that his original company was purchased by General Motors and became part of that conglomerate. But the REO Motor Car Company continued on as an independent motor company. That company continued to produce quality autos and trucks up through World War II. Blue Jacket had prepared his warriors for the advancing threat. Little Turtle had warned the younger Shawnee leader to be careful. Little Turtle knew this American general was different that the previous American generals he had fought and defeated. This general took his time. He was slow to move, but when he moved, he moved with purpose. Little Turtle could see many of his own battle scars in this aging warrior. He was nothing like the early ones. This one’s got teeth. The one was like a black snake that would take his time and wait for the right opportunity. Blue Jacket believed this was the time to stop the liars before they spread. “We cannot trust the whites,” he had shouted before the council. “We can never trust them, anymore than we can trust the bear with our children. The white liars move across our land like squirrels devouring everything.” He knew Little Turtle was too old to fight again; he had his time and already proven his wisdom. This was Blue Jacket’s time. The Shawnee leader had brought together more than 2000 brave warriors from all the Nations. They were the best, they were ready. The black snake could bite, but he had no venom—take the bite and cut the head off. Blue Jacket’s scouts had already shouted their warning. The Black Snake was just a days march. They had prepared already for the days battle but the Black Snake had coiled back. Oh a sly one he is, this viper knows. A days light had already been lost and the Black Snake had not yet appeared. A warrior scout came in and said they were making their fires, there would be no battle today. Tomorrow for sure. Another night of fasting. Was it too much to ask his warriors? ran in and said the black snake is coming—no more than 500 advancing along the river. Blue Jacket brought his warriors together one last time. “Today we take back our land. Today we stand as united warriors of the same blood. Today we kill this scourge that comes upon us. There will be no retreat. There will be no victory for our enemies,” Blue Jacket shouted in loud voice. In Blue Jacket’s mind he must have believed this day would be a day his warriors achieved victory for themselves and for himself. The Americans would not be expecting them, the British fort was less than an hours walk north. They would be expecting the fight there, not here along the river. Just as Blue Jacket had seen, the Americans came stumbling out of the tree line right in front of his warriors and as soon as they fired upon them, they ran like cowards back into the woods. His warriors had been victorious without a single casualty. Blue Jacket’s alliance among the Nations was clearly winning the fight. It would be a glorious day. No more than 30 minutes into the rout, a scout ran in and reported the Americans were flanking on both sides. How could this be? When Blue Jacket realized the black snake had five times more men than first reported, he knew the fight would be over quickly. Blue Jacket told his warriors to fall back to the British fort. He also asked his bravest men to stay and hold, kick the snake while they made their retreat. He knew those men would be bitten severely. Blue Jacket could hear the heavy gun fire as they ran along the river bank and then it stopped. He knew his bravest warriors could stand up no longer. It was only a matter of time before the snake would start biting at the rest of his men. The British fort was his only recourse. Little Turtle’s words of warning echoed loudly in his ears. A runner arrived with news from the fort: the British dogs had closed the gates. They would not open them to let Blue Jacket and his warriors inside. Another runner from the back said the snake was almost within striking distance. Blue Jacket ordered his men onward to the north. The Americans did not attack the British fort, nor did they follow Blue Jacket. Instead they setup camp just west of the British fort known as Fort Miamis. During the night the American General known as Mad Anthony Wayne, sent several groups of his men to reconnoiter the land around the fort and whether they were occupied or not, to destroy any villages and their crops they came upon. By morning the British commander could see the smoke lines drifting the early morning light. However, General Wayne did not pursue Blue Jacket, nor did he attack the fort. He remained outside the fort for a few days more before retracing the trail they had blazed back to Camp Greene Ville. With their crops destroyed, that winter would be a difficult one for the Nations. The British could not be depended upon neither on their word or their support. By the next spring Blue Jacket sent a messenger to the black snake asking for a treaty and food for his people. General Wayne replied for the Nations to meet with him and they would work out a treaty and he would feed his people. That summer a treaty was agreed upon and peace was achieved. Blue Jacket would spend the rest of his days in silence and spoke no more about the black snake. It was on this day in 1795, the Treaty of Greenville was signed by Blue Jacket and many of the Nations agreeing they would take up arms no more against the Americans. In 10 years though, another Shawnee leader named Tecumseh, who did not sign the treaty, would rise up and lead his people and the Nations against the Americans.